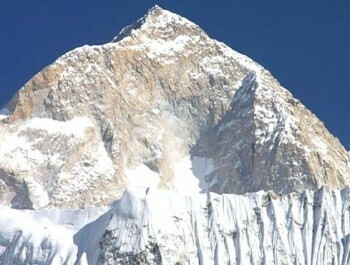 Hiunchuli peak (6441m.) 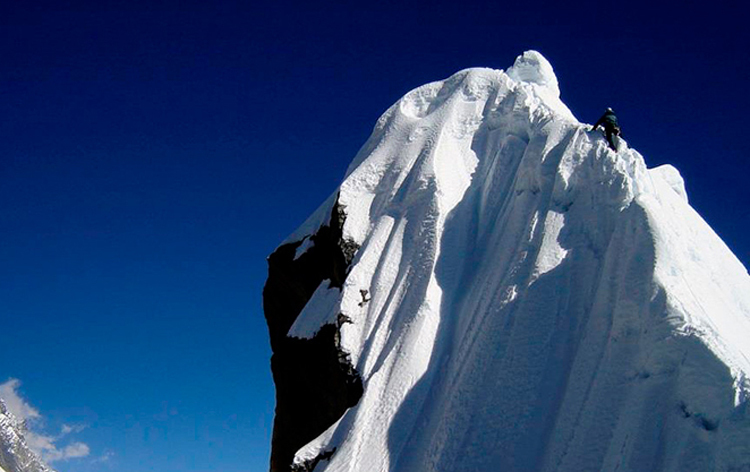 is the fourth highest peak among the "Trekking Peaks" and regarded as one of the less difficult by the expeditions. 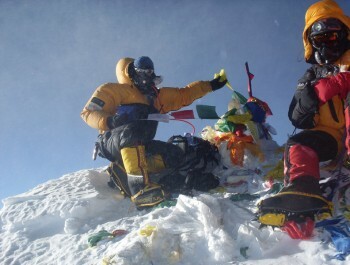 He first reached the summit in October 1971 by an American expedition Peace Corps, under the leadership of Craig Anderson. 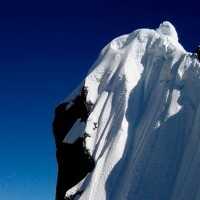 Hiunchuli peak is part of the chain of Annapurna and was discovered by Jimmy Roberts, the father of trekking business. 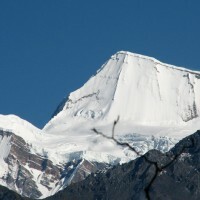 It is connected to the east face of Annapurna South. 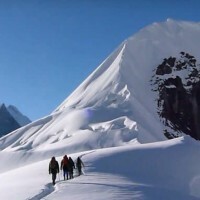 There are three major trekking peaks in the Annapurna Sanctuary, so named by Roberts, that the locals have controlled the area sacred. 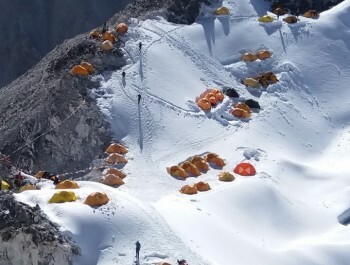 They Tent Peak, Peak and Hiunchuli fluted. This journey defines the valley of Pokhara. 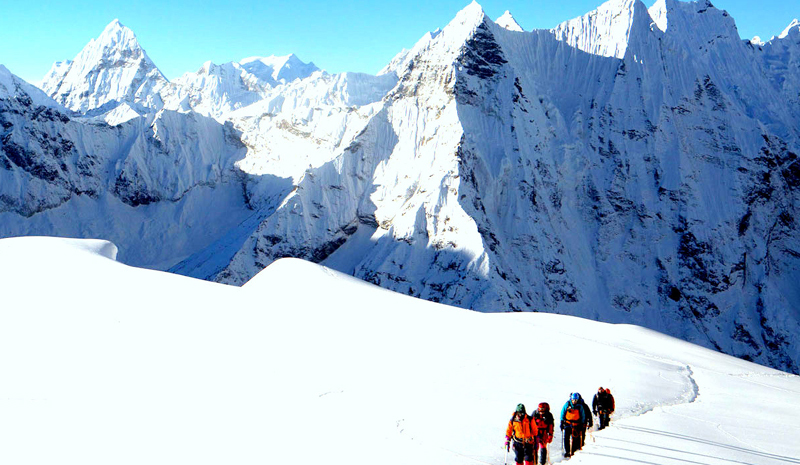 In the valley of Pokhara, the trail climbs slowly to the Annapurna Basecamp located at an altitude of 4300m. 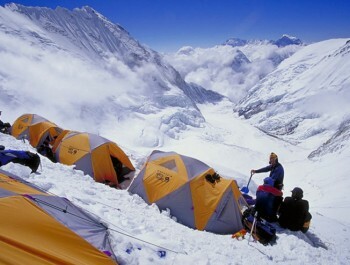 A day of rest will be to explore the Annapurna Basecamp and acclimation. 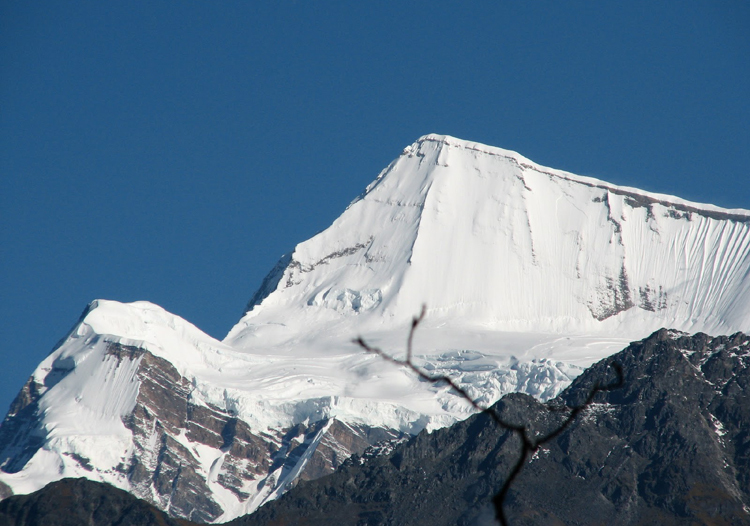 Annapurna Basecamp is considered the Hiunchuli too. 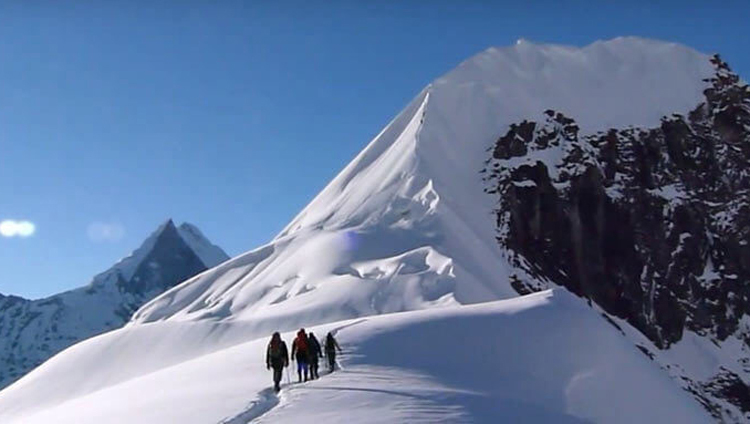 Three to four days are reserved for the ascent of the peak, then you can return to the front followed by the Pokhara Valley in the same way that "Trek Annapurna Sanctuary '. Day 01: Arrive Kathmandu and transfer to hotel 1350m. Day 03: Departure for Pokhara 5-6 hours. Day 04: Departure for Suikhet 950m. & Trek has Pothana 1700m. Day 06: New Bridge - Khuldighar 2380m. Day 07: Khuldighar - 2950m Himalayan Hotel. 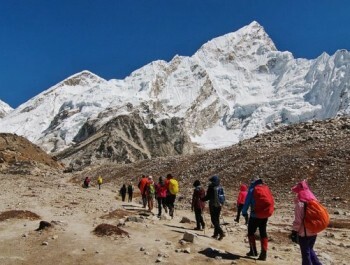 Day 08: Himalayan - Machapuchhere Base camp 3800m. Day 10: Annapurna Base Camp - Base Camp 4600m Hiunchuli. 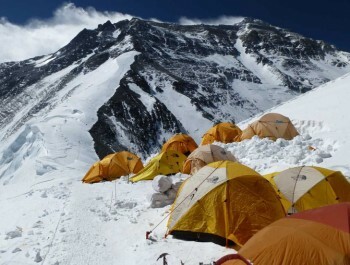 Day 11: Hiunchuli Base Camp - High Camp 5500m. Day 14: Himalayan Hotel - Chomorong 2100m. Day 15: Chomorong - Tadapani 2700. Day 16: Tadapani - Ghorepani 2850m. Day 17: Ghorepani - 1189m Birethati. Day 18: Birethati - Pokhara 900m. Day 19: Drive to Kathmandu 1350m. Accommodation in Tented Camp while on Langsisa ri Peak Climbing. 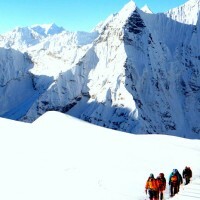 Hiumchuli PeakClimbing permits, TIMS Card fees, and Langtang Conservation Area entrance fees. All expenses of the staffs (Guides/Porters) that include Food, Accommodation, Salary, Insurance, Equipment during your travel period. 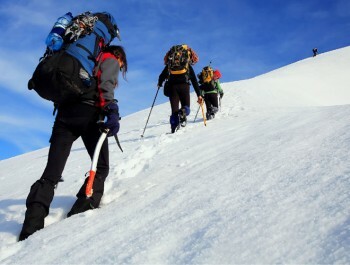 Sleeping Bag, Walking Poles and Duffel Bag, to be return after trip completed. 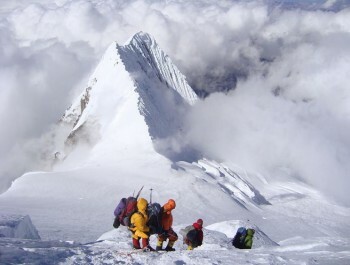 Langsisa Ri Peak Climbing group climbing gear, climbing rope, snow bars & carabineers etc. A Sweet things like chocolate, cake, pie, pudding. 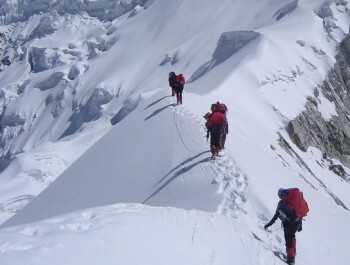 Team Climbing Equipment such as Main Rope, Snowbar. If the above itinerary couldn’t meet your needs, we can design a tailor-made trip to suit your needs. Please let us know whether you would like to make your trip shorter or longer.